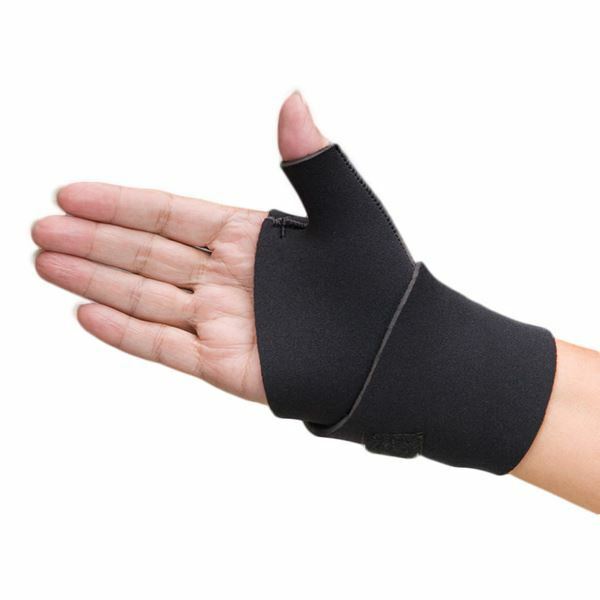 Made of 3.2mm Comfortprene, neoprene material lined with soft terrycloth to help minimize perspiration. 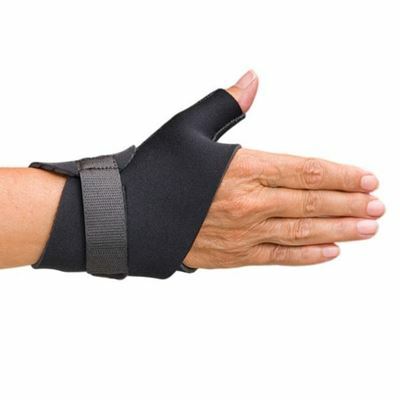 Allows full finger motion while providing circumferential compression and support to the wrist and thumb. Reinforced, wide wrist strap fastens easily using hook and loop closures to ensure a snug, comfortable fit and help limit the final degrees of wrist motion. Short style measures 3" (7.6cm) wide and covers approximately half of the forearm. Long style measures 6" (15cm) wide and covers approximately two-third’s of the forearm. 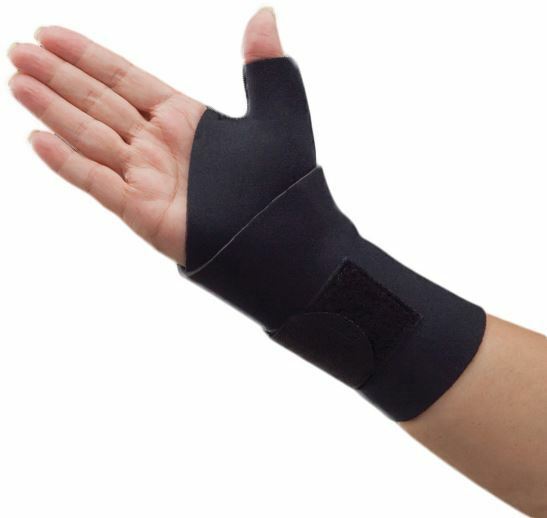 This wrap provides additional compression and firmness around the wrist and distal forearm. Trim for a custom fit. 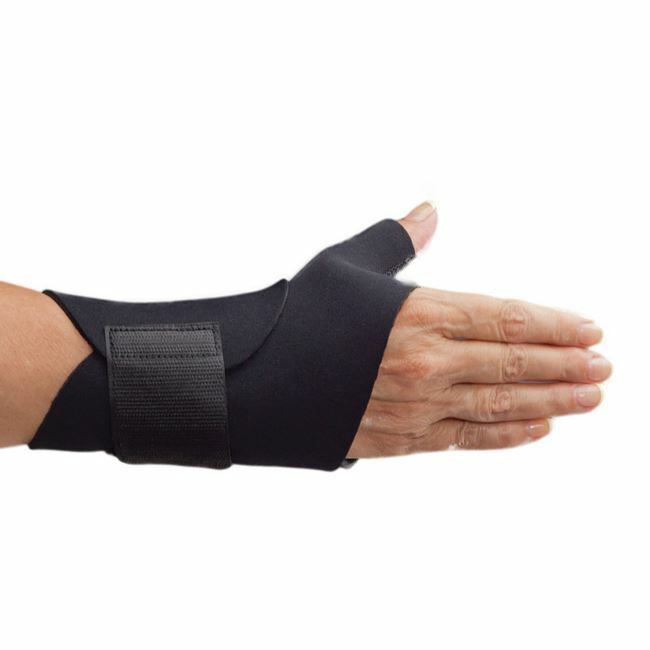 Fits either the left or right hand. 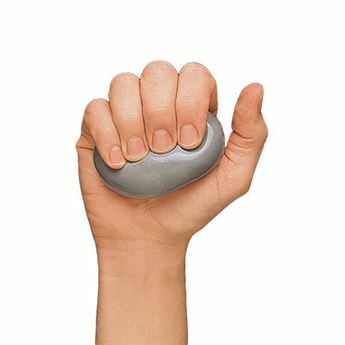 To size, measure wrist circumference.